Welcome to D & S Sanitation! All jokes aside, Poop is a serious business! When it comes to matters of the home, it's always best to seek the professionals. Owner/operator Brian Falk strives to maintain the quality of service that customers have come to expect for nearly 20 years. Maintaining your septic system is an all-important job that is best handled by the experts. Owners can have a clean, free-flowing system for many years, but if neglected, septic systems will eventually clog or fail, which besides posing a health hazard, leads to enormous repair costs or even larger replacement costs down the line. Whether you are a new owner of a septic system or lagoon or have questions about an existing one, we're here to help! Check out our question and answer box below or call if you have questions or to schedule an appointment. 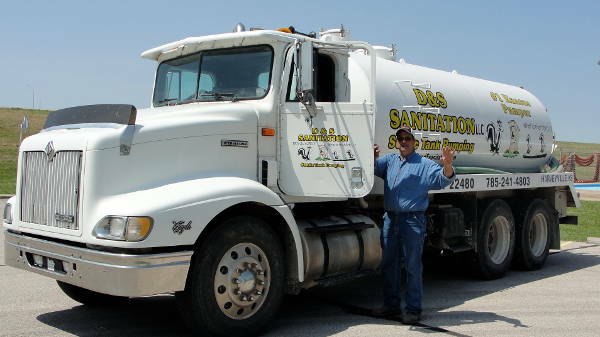 Whatever you need, D & S Sanitation is glad to help out! What We Do Not Do - We do not "clean" septic systems -- we pump them. Beware of services who offer to "clean" your septic system because the balance of bacteria in your system needs to remain constant in order to continue the breaking down process. 1. Why Do I Need to Have My Septic Tank or Lagoon Pumped? Answer: Septic tanks require pump outs when the solid waste accumulates to the capacity of storage. For most systems to operate optimally, pump outs should be scheduled when the tank reaches 30-50% of total capacity. 2. How Often Do I Need to Have My Septic System or Lagoon Pumped? A qualified inspector can answer some of these questions to help you know for sure, but as a rule of thumb, it's best to have your system checked at least every 2 years. 3. Should I Use Additives to Help My System? Answer: Even though there are many products and some very convincing commercials out on the market today, every septic system professional, environmental and government websites all have the same answer, "NO!" Using additives to add or help bacterial breakdown of sludge is ineffective and may even cause larger problems. Research actually indicates that biological enzymes and other "miracle" additives do not improve septic system functions. The amount of bacteria or enzymes recommended are so small that any effectiveness is virtually impossible to detect. 4. Can I Use a Garbage Disposal? Answer: Septic systems were not intended for the disposal of food wastes, coffee grounds, grease or fat and in fact, these will harm the operation of the septic tank. However, if you cannot live without this modern convenience, just plan to have your tank pumped more frequently. 5. What Can I Do to Help Keep My Septic System Working Well? Answer: There are lots of things you can do to help keep your system healthy. Conserving water by repairing leaky faucets and toilets, installing low-flow fixtures, turning off the water when brushing your teeth or when shaving reduces the load of wastewater your system has to handle. Avoid washing all of your laundry in one day - space out water use throughout the entire week. 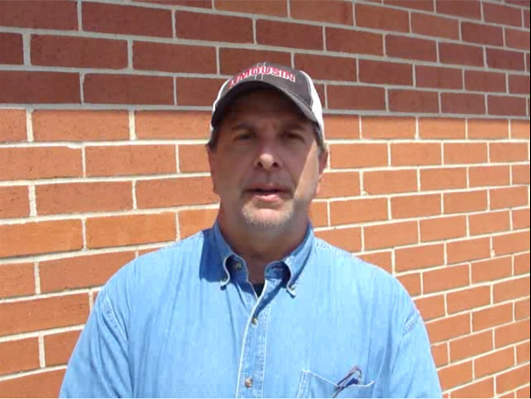 Protect the absorption area by keeping livestock (especially horses) off the lateral field. Don't park cars, boats or heavy equipment on the leach fields so the ground doesn't get compacted. Divert downspouts or other drainage away from soil absorption areas. And avoid flushing things like sanitary products, paper towels, disposable diapers, cigarette butts - even tissues. Toilet paper should be the only added material a toilet should flush.